Baby Jogger, in cooperation with the U.S. Consumer Product Safety Commission, is voluntarily issuing a safety recall of the Car Seat Adaptor. As Baby Jogger is committed to manufacturing products that meet the highest standards of quality and safety, we want to inform our users that we have identified an issue relating to Car Seat Adaptors manufactured between April and September 2012. The affected item numbers are BJ90121 (for Single strollers), BJ90321 (for Select/Versa), and BJ90221 (for Double strollers). 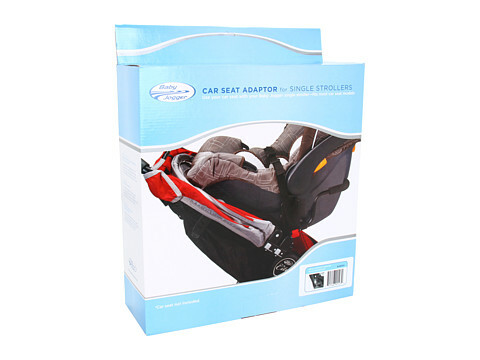 If you have purchased one of the affected adaptors or are unsure and would like further information, please click here: http://www.cpsc.gov/en/Recalls/2013/Baby-Jogger-Recalls-Car-Seat-Adaptors-for-Strollers/ or contact us at 1-877-506-2213, Monday through Friday 8:30am - 5:30pm EST. This afternoon we received a letter from Baby Jogger. It seems a certain batch of Baby Jogger car seat adapters may be defective and if not properly installed into the car seat adapter brackets, the car seat bars may fail. You can locate your car seat model number on the lower right hand corner of the original box. The manufacture date can be found on a sticker located on the bottom of the package. If you believe you have an affected car seat adapter, or are not sure which batch of car seat adapters you have, please contact Baby Jogger directly at: 1-800-241-1848.